At the turn of the last century, all the world came to Broadway to shop, dine, flirt, find amusement, and meet acquaintances,” wrote Henry Collins Brown, curator of theMuseum of the City of New York. In 1897, the Hotel Martinique on Broadway opened amidst the boom of hotel and theater life. Broadway was said to have a champagne sparkle with an artistic glow, and the trend setting culture found on this famous boulevard flourished. Around the same period, Pennsylvania Station, Macy’s, and the extended PATH train made their celebrated debut. It was the perfect time for William R.H. Martin, owner and namesake of the Hotel Martinique, to submit plans to dramatically increase the size of the Hotel Martinique. Martin hired the Hotel Martinique’s original architect, Henry Hardenberg for the redesign and expansion. Hardenberg, a slender man, who favored a starched high collar and pearl stickpin, was known as one of the greatest architects of his time for building Castles in the Air. His artistry was built on structural strength that has endured for generations. According to Christopher Gray, architectural historian “Hardenbergh designed buildings for long-term use, not short term profit”. 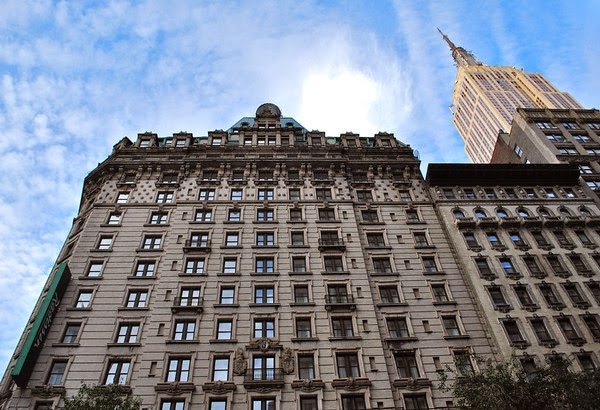 To his credit Hardenberg also designed the Dakota Apartments, the original Waldorf Astoria at Fifth Avenue, the Plaza Hotel and the famed Willard Hotel in Washington DC. A parade of celebrities, the actress Lillian Russell, Diamond Jim Brady, John Wanamaker, Mark Twain, and Oscar Hammerstein, were constant visitors at his architectural gems. With the expansion completed, the Hotel Martinique re-opened on December 21, 1910 to a fanfare of elegantly dressed guests who arrived in horse drawn carriages. They were immediately impressed when they entered the vast lobby, which featured an inspiring mosaic tile floor and an 18-story spiral staircase, both of which are intact today. Significant to the legendary history of the Martinique is the formation of the Professional Golfers Association of America. In 1916, department store magnate, Rodman Wanamaker, sponsored a luncheon at the Hotel Martinique, where 35 prominent golf professionals created The PGA. 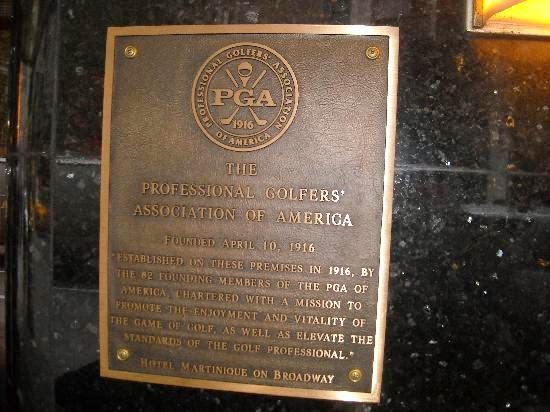 The Charter for the PGA was signed on April 10, 1916 at the Hotel Martinique. Just steps from the Martinique, construction of the Empire State Building began on March 17, 1930. Just over a year later, President Hoover pressed a button in Washington, D.C. officially opening and turning on the Empire State Building’s lights for the first time. At that same moment, guests celebrated at the Martinique, by lifting their glasses and toasting their new neighbor, the Empire State Building. 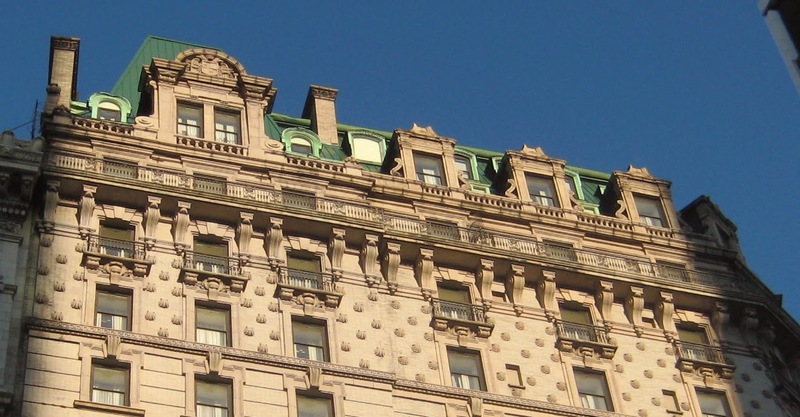 On the register of Historic Hotels of America, the Martinique still stands amidst the excitement of Midtown Manhattan, near the Empire State Building, Madison Square Garden, Penn Station, Macy’s Flagship Store at Herald Square, Chelsea Art Galleries, and SoHo Bistros and Restaurants. Just as it was during the Gilded Age, the Hotel remains a symbol of Grand Hospitality, in the same stunning Beaux Art Building of 1896. From the Radisson Martinique to your table, our chef at Petit Poulet shares his recipe for Beef Bourguignon. Sauté lardons in 1 tablespoon of the olive oil in a flameproof casserole over moderate heat for 2 to 3 minutes to brown lightly. Remove to side dish with a slotted spoon. Heat fat in casserole until almost smoking. Dry beef in paper towels; it will not brown if it is damp. Add beef, a few pieces at a time, and sauté until nicely browned on all sides. Add it to the lardons. In the same fat, brown the sliced vegetables. Pour out the excess fat. Return the beef and bacon to the casserole and toss with 1/2 teaspoon salt and 1/4 teaspoon pepper. Then sprinkle on the flour and toss again to coat the beef lightly. Set casserole uncovered in middle position of preheated oven for 4 minutes. Toss the meat again and return to oven for 4 minutes (this browns the flour and coves the meat with a light crust). Remove casserole and turn oven down to 325 degrees. Stir in wine and 2 to 3 cups stock, just enough so that the meat is barely covered. Add the tomato paste, garlic, herbs and bacon rind. Bring to a simmer on top of the stove. Cover casserole and set in lower third of oven. Regulate heat so that liquid simmers very slowly for 3 to 4 hours. The meat is done when a fork pierces it easily. While the beef is cooking, prepare the onions and mushrooms. Heat 1 1/2 tablespoons butter with one and one-half tablespoons of the oil until bubbling in a skillet. Add onions and sauté over moderate heat for about 10 minutes, rolling them so they will brown as evenly as possible. Be careful not to break their skins. You cannot expect them to brown uniformly. Add 1/2 cup of the stock, salt and pepper to taste and the herb bouquet. Cover and simmer slowly for 40 to 50 minutes until the onions are perfectly tender but hold their shape, and the liquid has evaporated. Remove herb bouquet and set onions aside. Wash out the casserole and return the beef and lardons to it. Distribute the cooked onions and mushrooms on top. Skim fat off sauce in saucepan. Simmer sauce for 1-2 minutes, skimming off additional fat as it rises. You should have about 2 1/2 cups of sauce thick enough to coat a spoon lightly. If too thin, boil it down rapidly. If too thick, mix in a few tablespoons stock. Taste carefully for seasoning. Pour sauce over meat and vegetables. Cover and simmer 2 to 3 minutes, basting the meat and vegetables with the sauce several times. Serve in casserole, or arrange stew on a platter surrounded with potatoes, noodles or rice, and decorated with parsley.